Sunday is oddly one of my favorite days of the week. I love waking up early, listening to a book on tape, and getting my cooking done for the week (find out more about my meal prep cooking here). Something about my Sunday routine is so relaxing. Sometimes I use cooking to procrastinate my work, but honestly it's the best way for me to stop thinking and be in the moment. I get out of my head and focus on just one thing, food. This past week I shared with you some of my snack ideas. 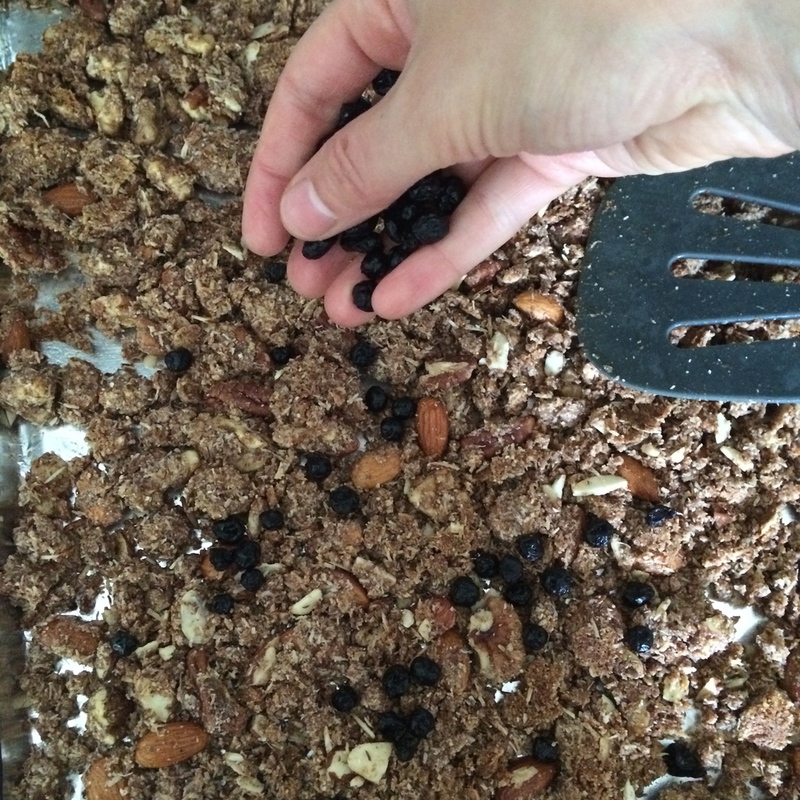 Today, I want to share my granola recipe. I made a batch this morning when I woke up. I hadn't made this recipe since the summer, so it was lovely to smell the delicious cinnamon and nuts roasting in my oven this morning. This granola is gluten AND grain free. That's right, no "oatmeal filler" here! 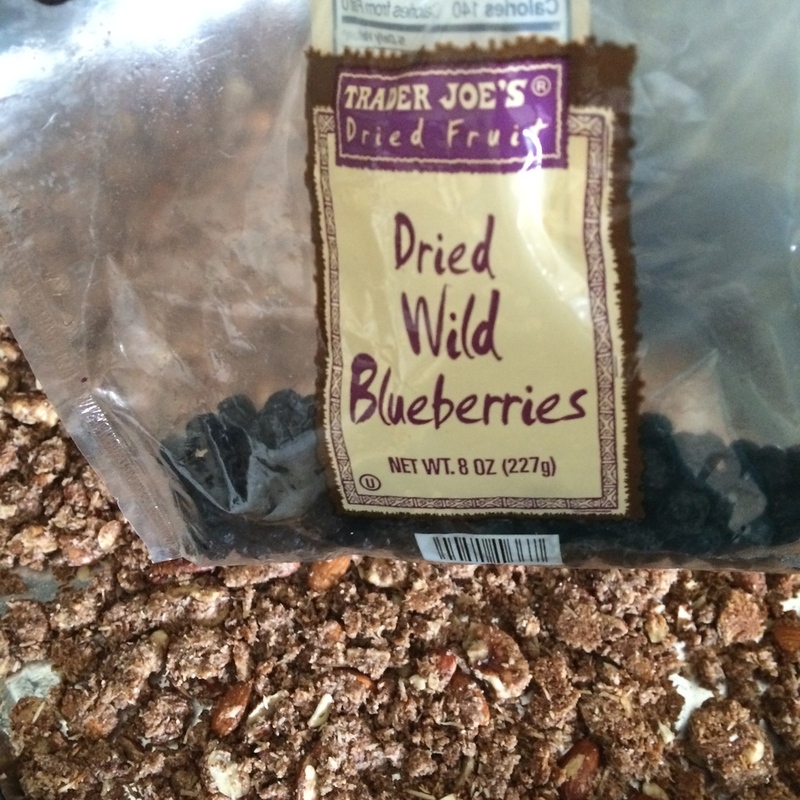 My sister and I started experimenting with granola over a year ago. We found a bunch of recipes, but as we tried various ones each seemed to be missing something. We decided to pick aspects of each that we liked, use our favorite ingredients and mesh it together. We tried several combinations until one day it was perfect. The problem was, we didn't write it down! We couldn't remember what we had done to finally get the perfect granola! A few more tries and diligent note taking and we had it! 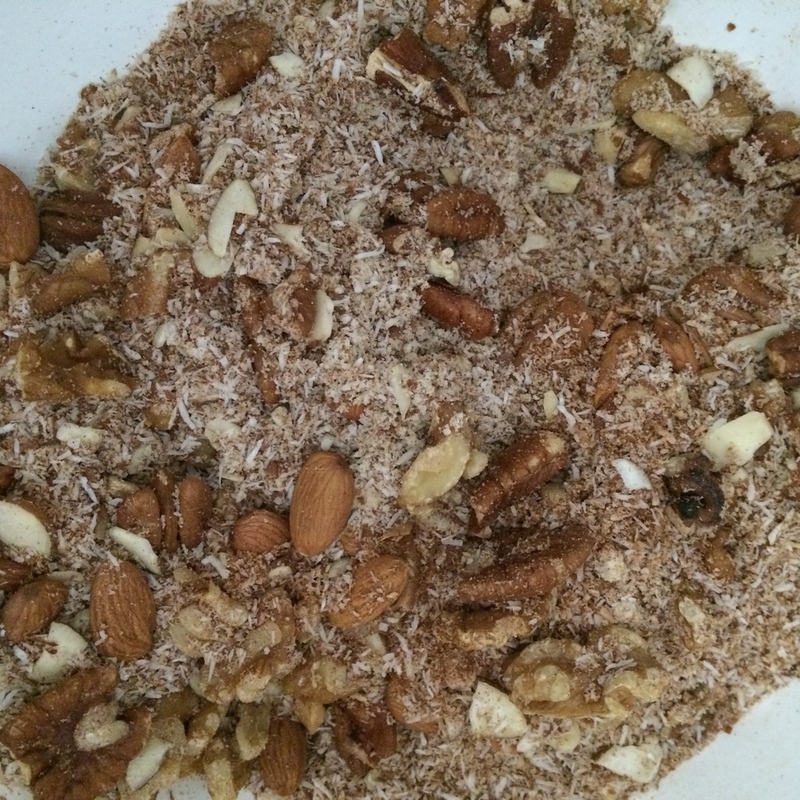 My favorite thing about this recipe (besides the fact that it is rich in healthy fats and super low in added sugar) is that it can be modified depending on your favorite nuts. Enjoy! 5. Bake for 15 minutes. Remove from oven. Gently stir and flip in sections. Taste a piece. if it needs more salt, now is a good time to sprinkle on some more. 10. Enjoy over full-fat yogurt, cottage cheese, with almond milk, or just by the handful! Give it a try, let me know how it goes!